hd00:17MILAN, ITALY - MAY 2: Unique view of Galleria Vittorio Emanuele II seen from above in Milan on august 6, 2013. 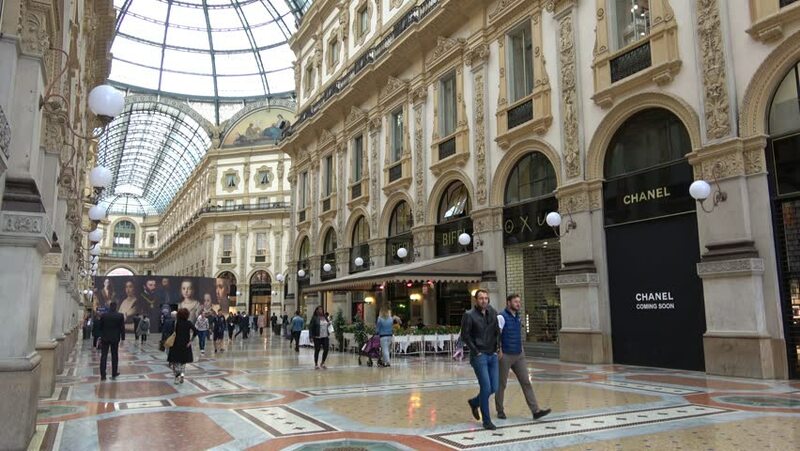 Built in 1875 this gallery is one of the most popular shopping areas in Milan. hd00:14MILAN, ITALY - AUGUST 13, 2016: People walking in the Galleria Vittorio Emanuele II. The shopping mall, in the center of Milan, is one of the oldest and most famous in the world.